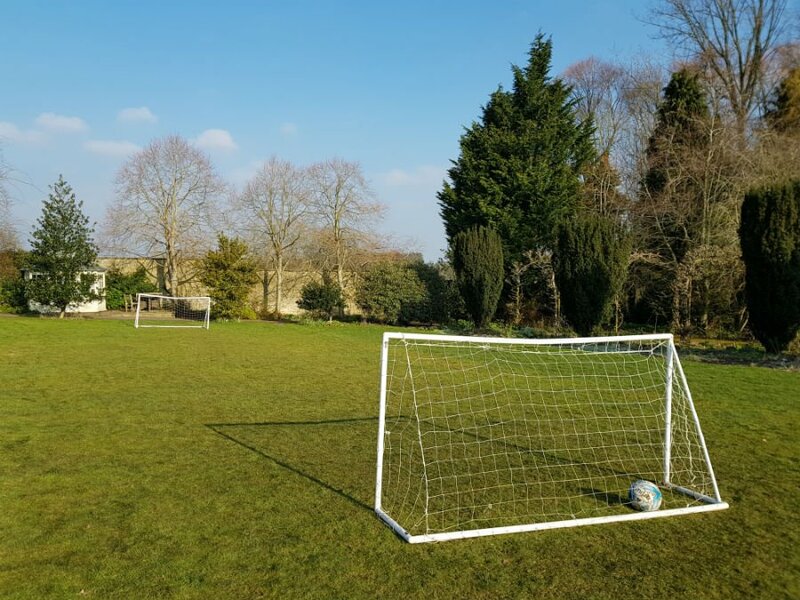 The Cotswolds – a pocket of England where time seems to have stood still. Rolling hills, honey coloured houses, quaint villages bursting with tea rooms, and loads of amazing days out for families make this one of the most visited parts of the UK. And rightly so too. 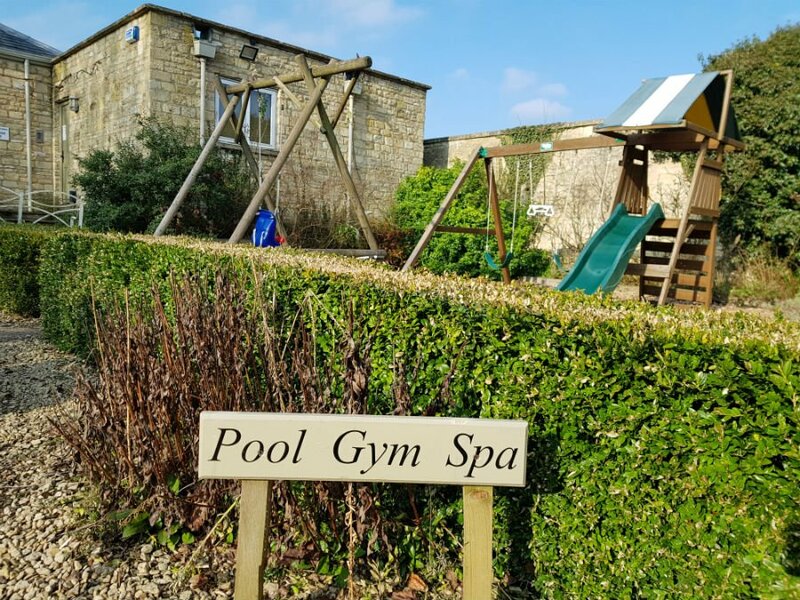 And if you’ve decided to visit the Cotswolds, the next thing to do is to find somewhere to stay which is great for babies and toddlers; with excellent facilities so both parents and children can relax, at the same time as offering a cosy and homely place to return to after a busy day out. And that’s where Bruern Cottages comes in. 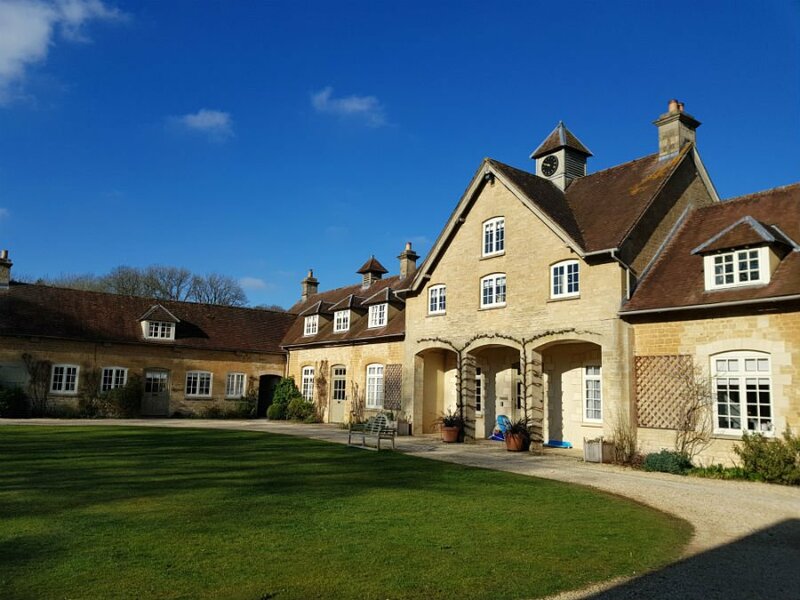 Bruern Cottages is an exclusive collection of 12 luxury cottages, near to Chipping Norton, sleeping from 2 people to 14. You can choose to stay for 1 night, or for however long you want, but at the end you will leave refreshed, relaxed and with lots of new happy memories. 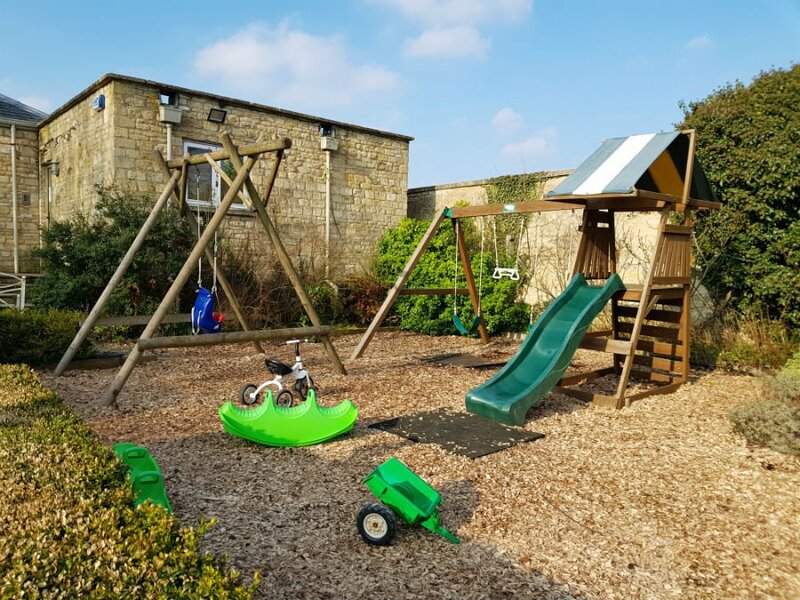 We had a winter weekend break at Bruern Cottages with our 2 young children, and I want to share with you why I’d recommend Bruern Cottages to families looking for a baby or toddler friendly place to stay in the Cotswolds. 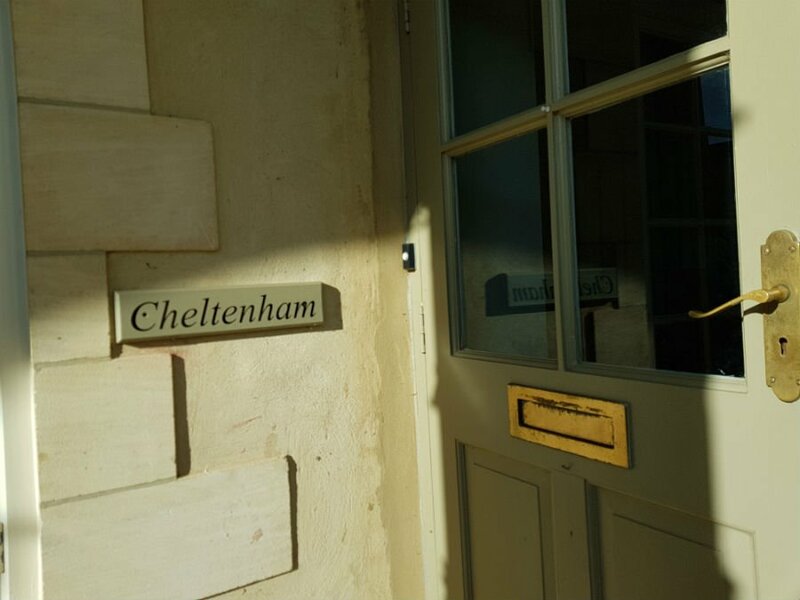 We stayed in Cheltenham Cottage, which is a luxury 2 bedroom cottage below the clock tower in a former hayloft opposite Bruern Abbey. 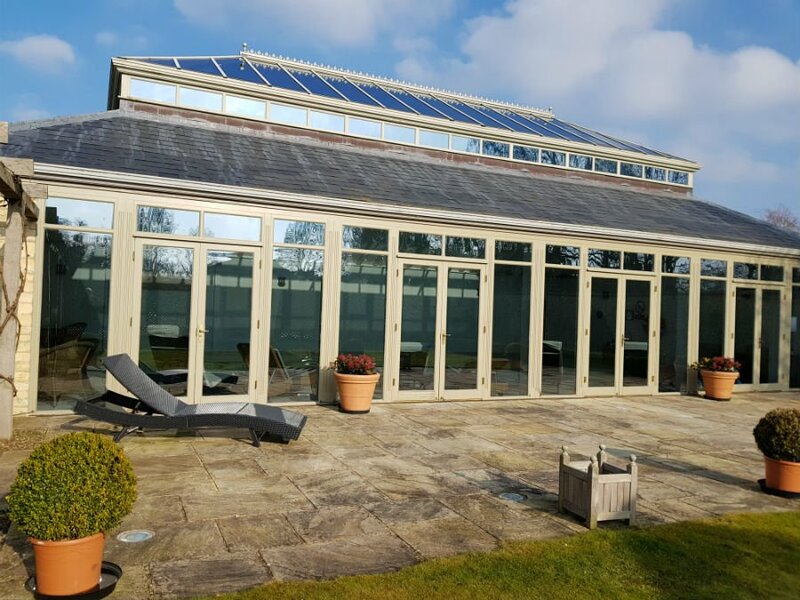 We loved the exquisitely designed large open living area, with far reaching views over the garden and over to Stow-on-the-Wold in the distance. 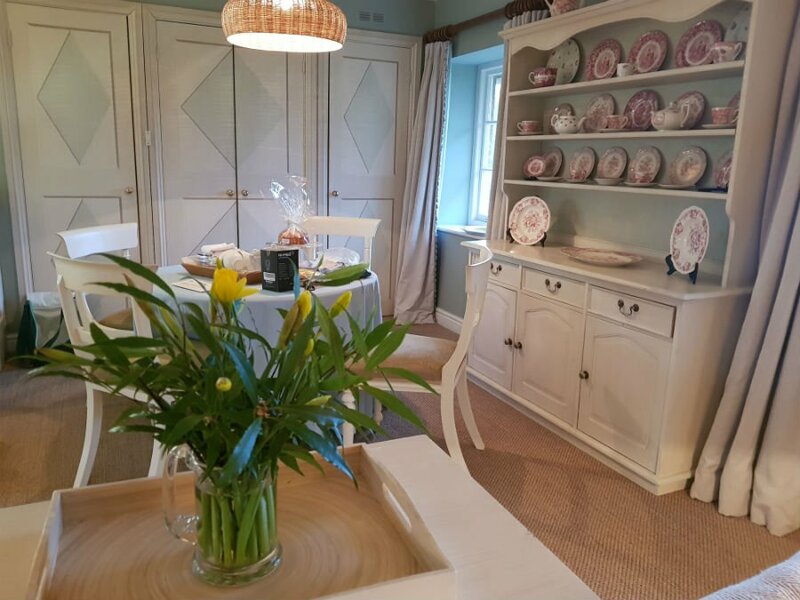 There was a comfy settee, family dining table, open plan kitchen and dresser full of pink and white tea pots and crockery. 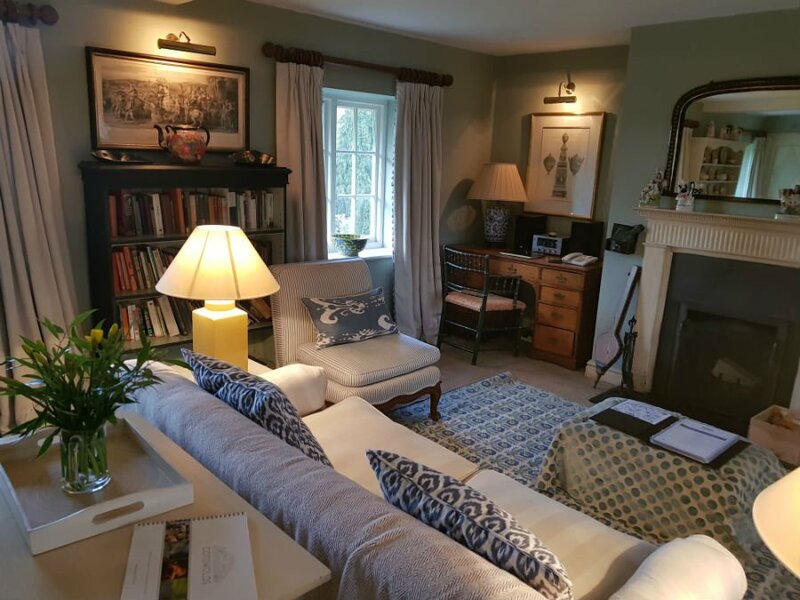 The cottage was inviting and welcoming at the same time as being beautifully furnished in a quintessentially English style with thick curtains, subtle lighting, individual prints and a big bookcase full of adults and children’s books. The kitchen was one of the best equipped we had ever seen. Coffee fans had a choice of the Nespresso machine (pods provided), or making their own coffee using the cafetiere. There was a dishwater, washing machine, large family fridge / freezer and every type of kitchen utensil you could ever have needed. Just outside the kitchen, the dining table had a lemon drizzle cake and tea cups ready for a welcoming brew after a long journey. 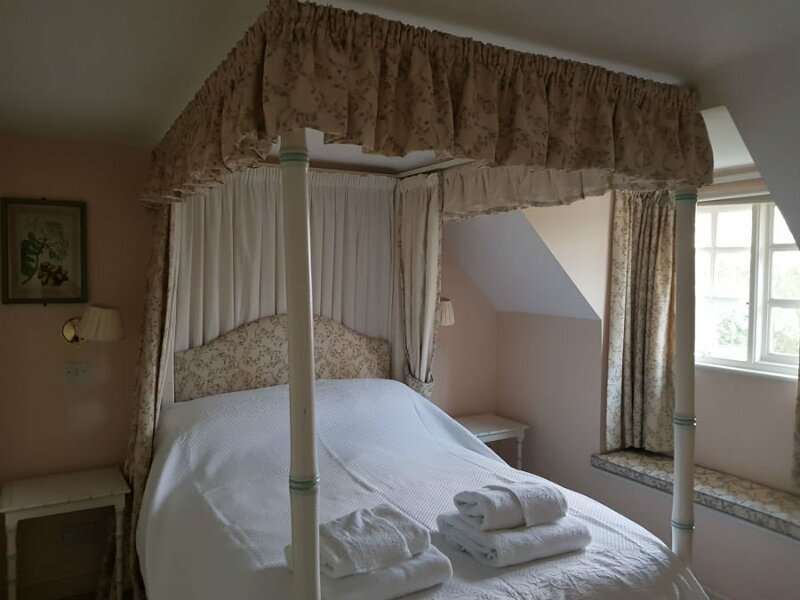 Upstairs there were 2 bedrooms – one double and one twin with one of the beds in the twin room being situated in a curtained alcove, which our children found very exciting. The eldest bagged this one for himself, and swiftly unpacked all his books and toys to make it his own. One of the most important things to any parent is a good night’s sleep, and Bruern Cottages definitely delivers on that front. The beds had top quality bedding and mattresses, which meant we sank into them and didn’t move until the morning. The curtains were thick and didn’t let any light through so we all had a welcome lie in. There was a shared bathroom with a bath, and plenty of complimentary Elemis toiletries. 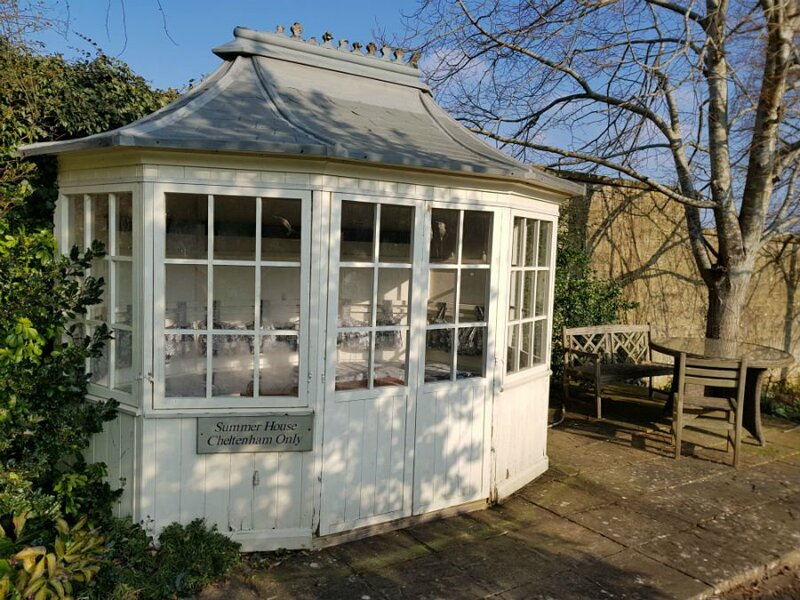 Outside, Cheltenham Cottage has its own Summer House at the end of the garden which would be great for al fresco dining in the summer months. 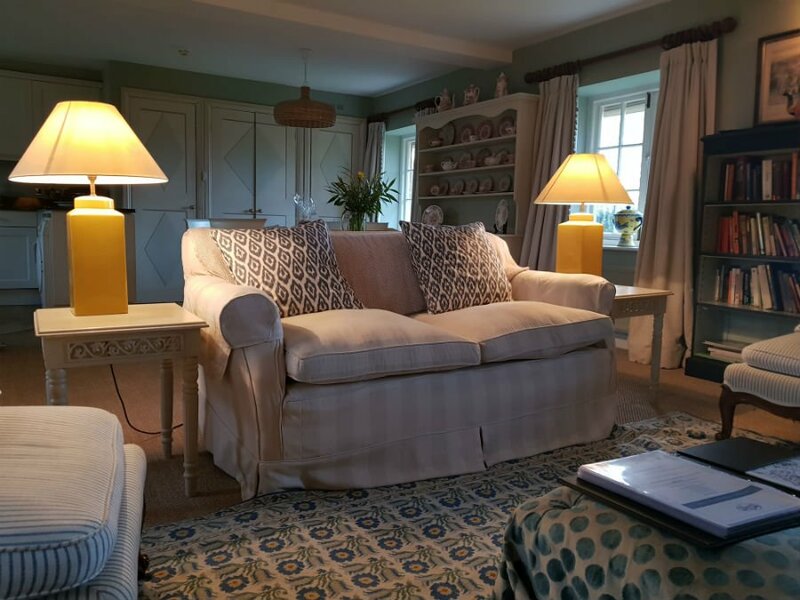 As we visited in winter, we loved lighting the cosy log fire in Cheltenham Cottage and chilling out. Negotiating the UK’s motorways on a Friday evening isn’t a pleasant experience, but neither is having to dash out to the shop as soon as you have arrived on holiday to buy milk and bread. 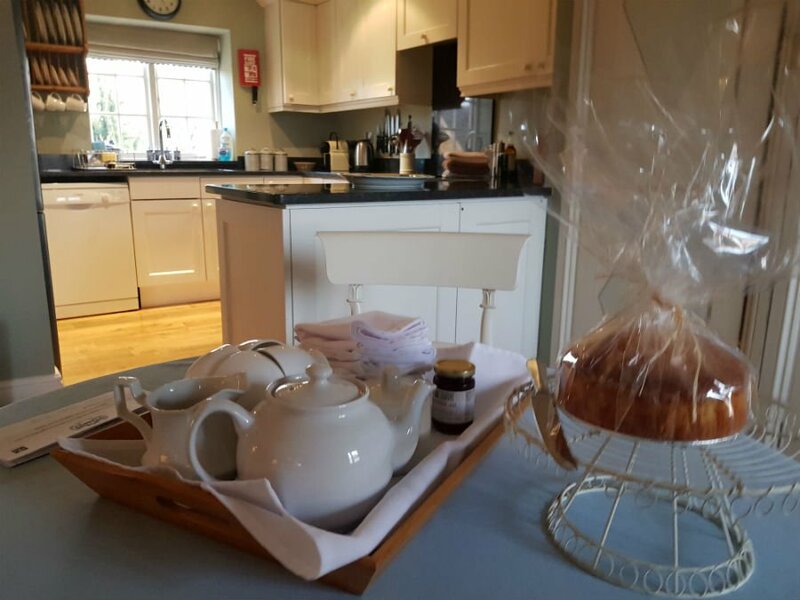 Again, Bruern Cottages do the hard work for you, and visitors are met with not just the essentials (like washing up liquid etc), but an amazing Welcome Basket packed full of Cotswold local produce. 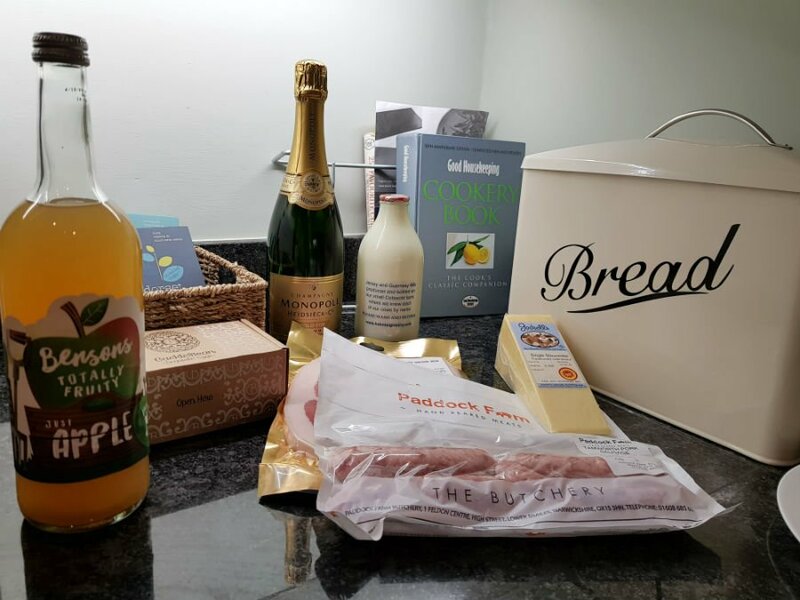 This included bacon and sausages from Paddock Farm, eggs from Cackleberry Farm, apple juice from Benson’s Farm, rapeseed oil, locally made jam and best of all – a bottle of Heidsieck & C° Monopole champagne. The perfect treat to get a holiday off to a great start. 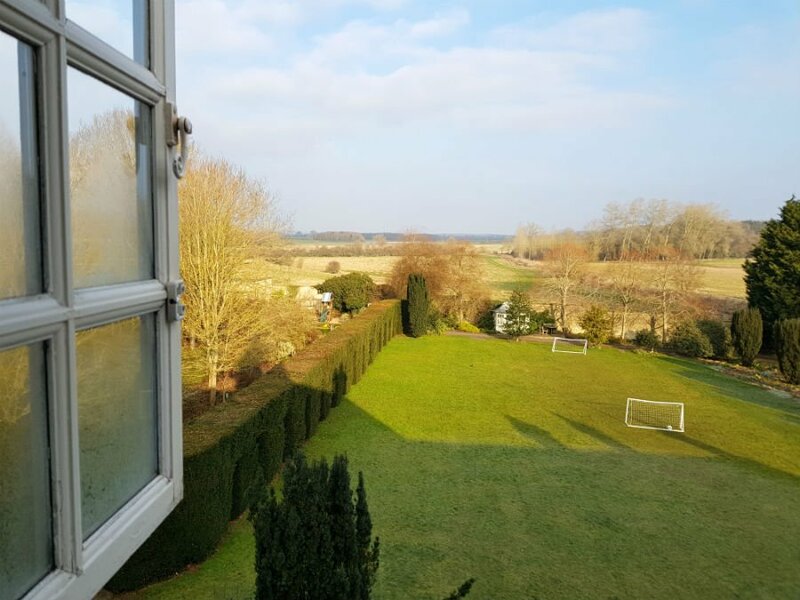 We visited Bruern Cottages at the end of February, and the weather was perfect – cold, crisp days with the sun shining from morning through to night. This meant we could get out and about and enjoy the fresh air. 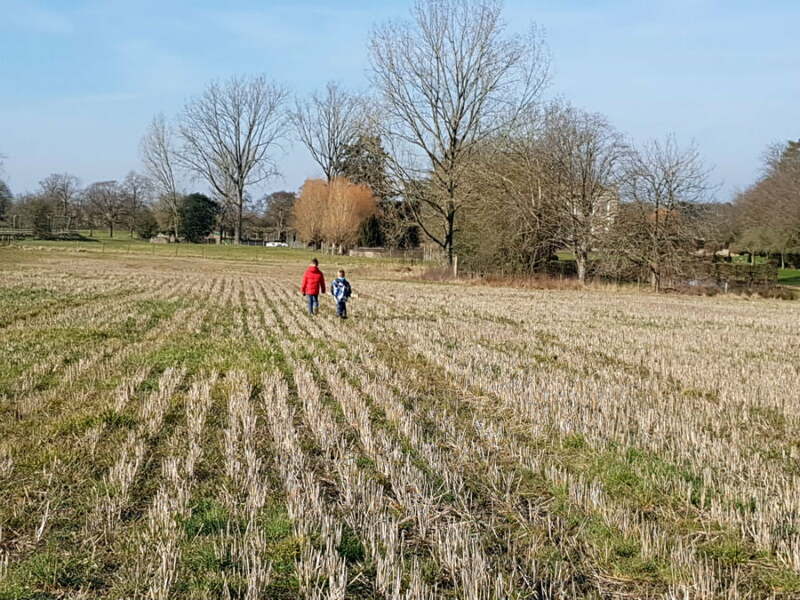 But if we hadn’t have been as lucky with the weather, there would still have been plenty to do at Bruern. 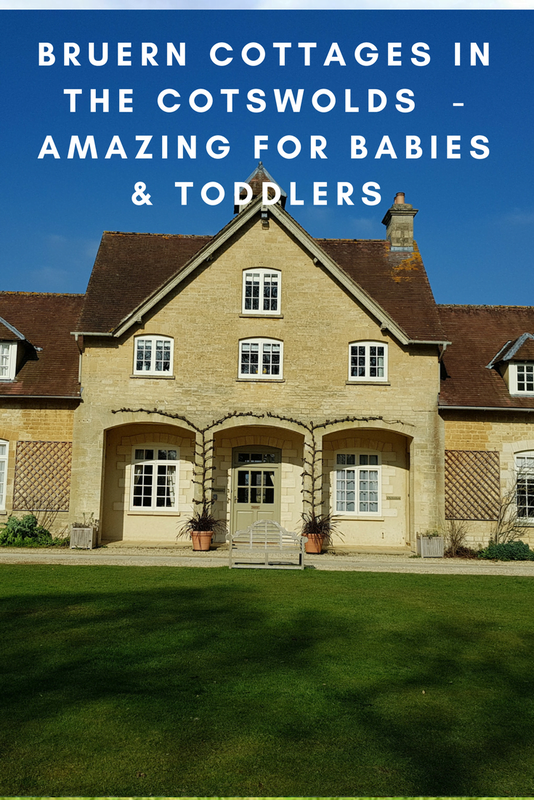 These are some of the things which babies and toddlers will love at Bruern Cottages. 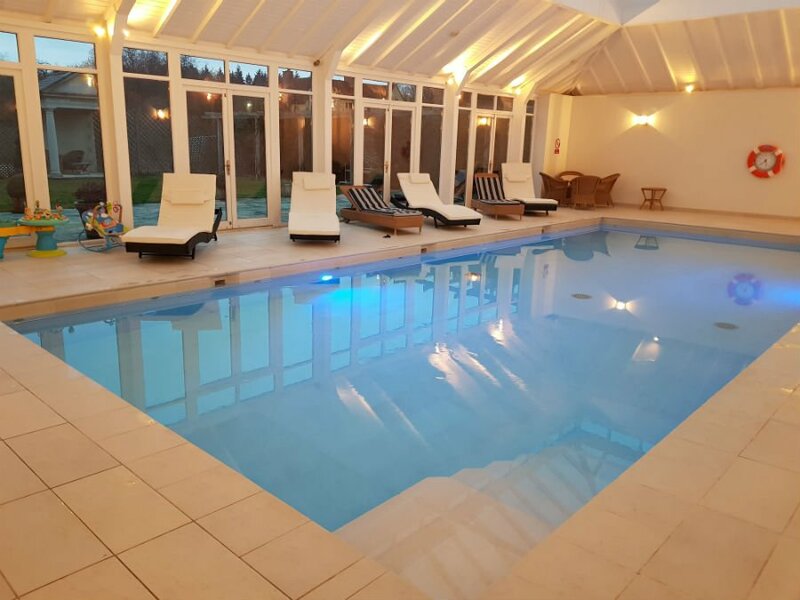 A real toddler pleaser – a heated indoor swimming pool with floats and toys for children to play with. This was the first thing that my children wanted to do after we arrived at Bruern Cottages, and we spent most of our first morning swimming. The pool was heated to a toasty 30 degrees, and although it is available to all the guests staying, you may be lucky enough to have it to yourselves. There were sunbeds around the pool, and a baby bouncer and walker for babies to play in if they don’t fancy a dip. Swim nappies are provided. In the summer, the swimming pool patio doors open to a private Italianate garden with picnic tables. Tired parents wanting a well deserved pick-me-up can choose some treatments from an extensive list of Spa Treatments, and escape to one of the Bruern Spa rooms for the ultimate treat. There is also a Gym available for parents wanting to exercise whilst on holiday. The second thing that my children wanted to do after we arrived was go to the playground. 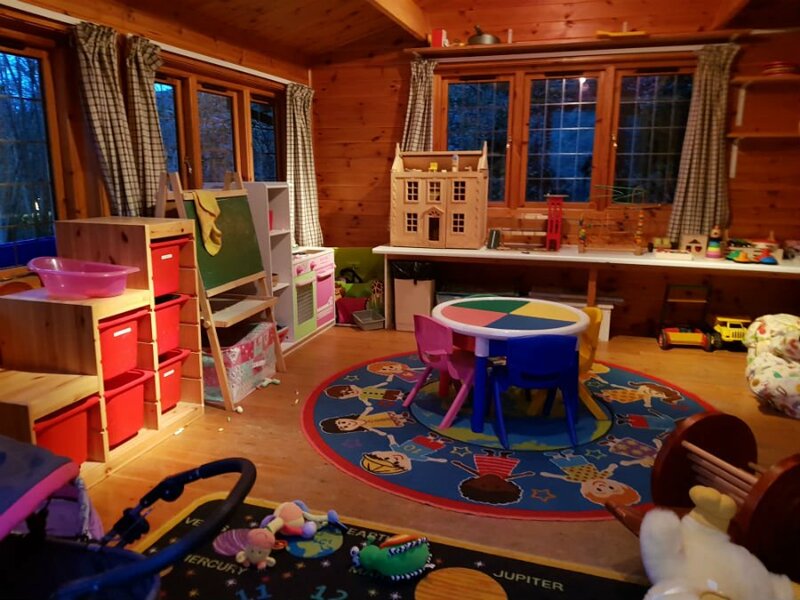 There is an outdoor playground at Bruern Cottages, and an indoor Play Cabin packed full of toys, books, games, dressing up outfits, a play kitchen and much more. Next to the Play Cabin is also a 2 storey Wendy House. I tried to squeeze into the Wendy House to have a look around, but as well as getting stuck, I was told in no uncertain terms that this was for children only. And my children seemed to have lots of fun playing in it too. 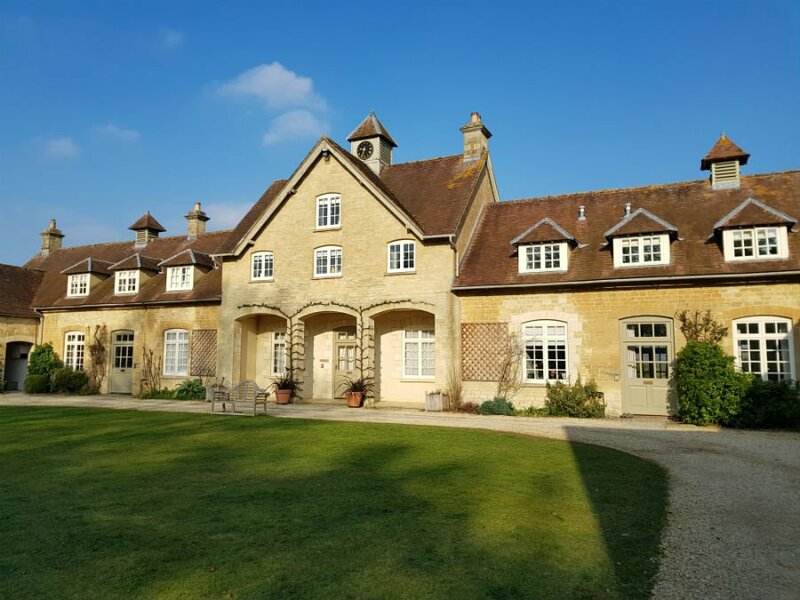 Bruern Cottages are set in 4 acres of gardens, and the owners are as passionate about the grounds as they are about the interiors of their cottages. 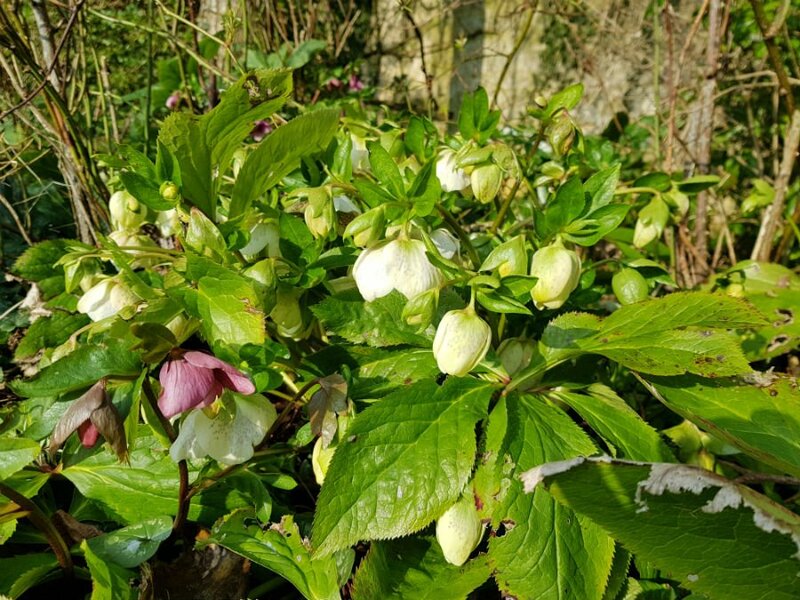 When we visited, we noticed the signs of spring starting at Bruern – the hellebores were already flowering and there were carpets of snowdrops throughout the grounds. The bulbs were just starting to peep up too. If you love your gardens, a visit to Bruern Cottages in the summer months is a must. Bikes and helmet are also available to borrow for guest staying at Bruern Cottages. The bikes are for children aged 4+ but there are also adult bikes with bike seats on are available to borrow too. It is fairly flat around Bruern, and the roads are quite quiet, so there are lots of opportunities for getting out and about on 2 wheels. 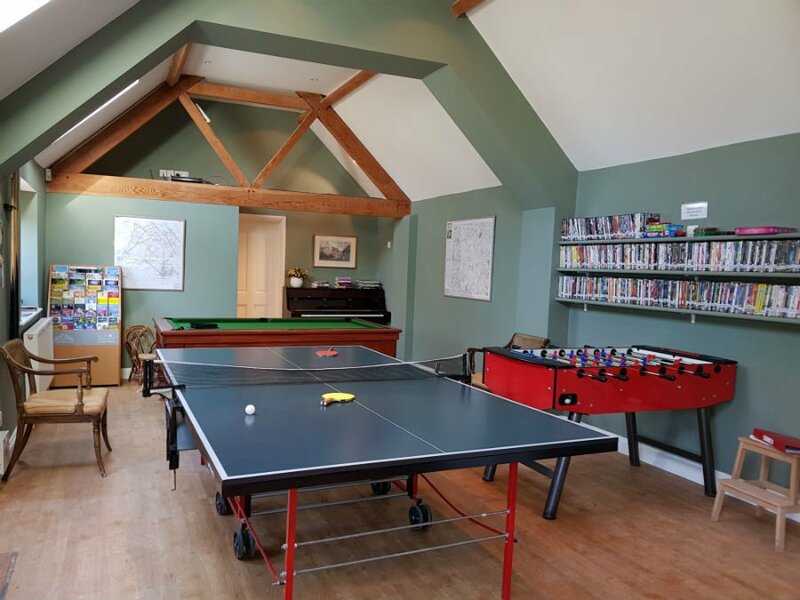 The Games Room is another place where you can go to if the weather is bad, or if you fancy a game of table tennis or table football. There is a big comfy settee, magazines, hundreds of DVDs to borrow and take back to your cottage, and an Xbox for older children. If you had older children, this would be the place that they would hang out. 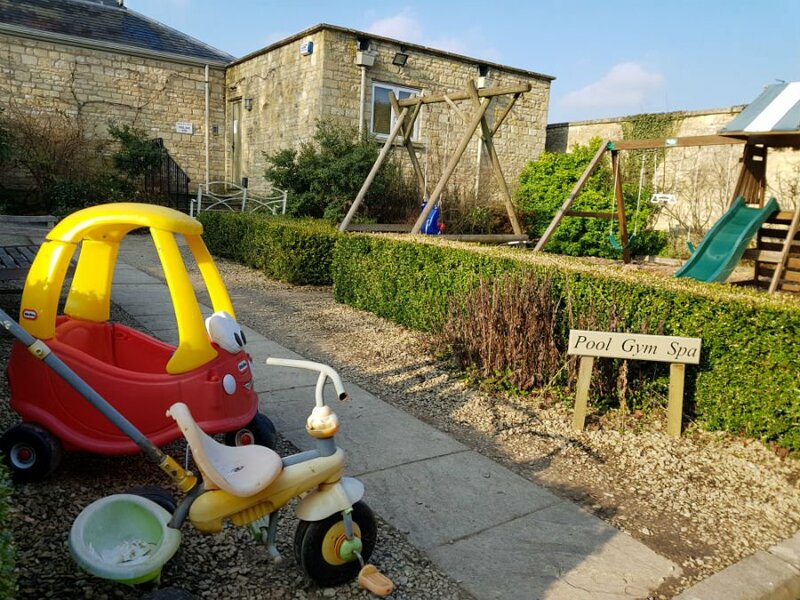 There are so many things to do around Bruern Cottages with babies and toddlers, and lots of these things are within a 1-hour drive. 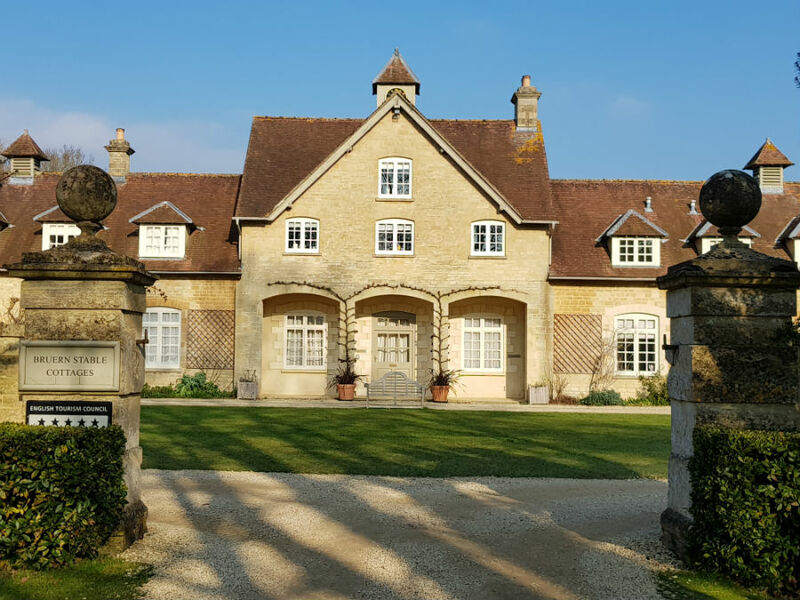 Animal lovers have a choice of visiting the Cotswold Wildlife Park, Adam Henson’s Cotswold Farm Park, Birdland Park and Gardens or for something a bit different – Crocodiles Of The World. 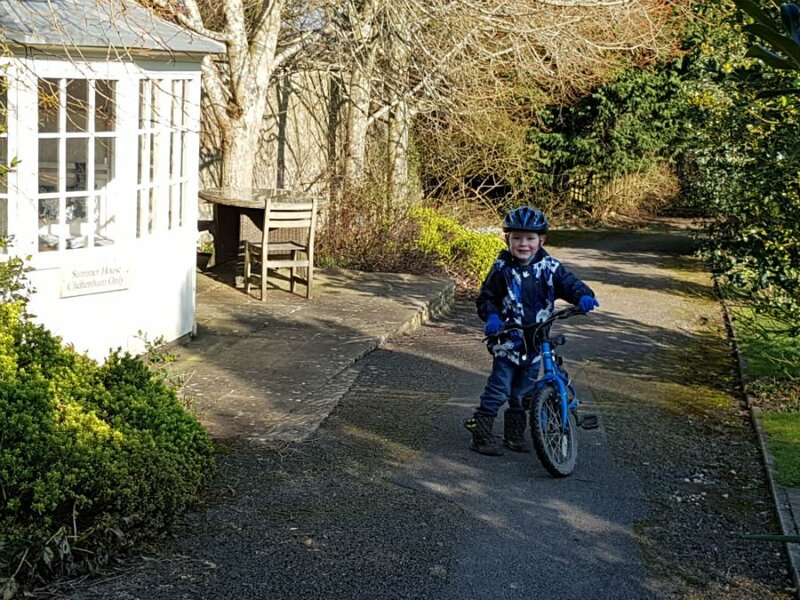 Toddlers who love running around outside can let off steam at Blenheim Palace, or go for a bike ride at Cotswold Water Park. Other great days out include The Model Village at Bourton-on-the-Water, Warwick Castle, Oxford Bus Museum or Didcot Railway Centre. Free and reliable WIFI is available in the cottages. The nearest shop is the Coop at Milton-under-Wychwood which is 2 miles away. 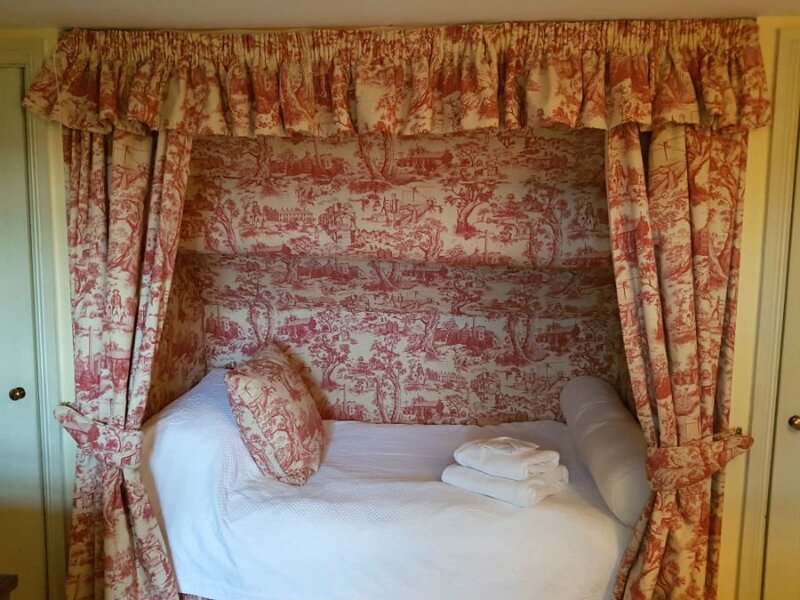 You can arrive at any day of the week, and stay for any duration at Bruern Cottages. Sincere thanks to Bruern Cottages for our stay.